VfL Wolfsburg closed the gap on second-placed Borussia Dortmund to five points with a one-sided 6-0 win over SV Werder Bremen. It quickly became abundantly clear why Wolfsburg went into the game unbeaten in 28 Bundesliga matches on home soil. The Wolves monopolised possession from the get-go, with Vieirinha cutting inside and testing Felix Wiedwald inside three minutes. Wolfsburg’s pursuit of the opening goal was relentless and the pressure soon told as Alejandro Galvez inadvertently put a Christian Träsch cross through his own net. Luiz Gustavo sent a free header against the woodwork, before Max Kruse glanced home Vieirinha’s inch-perfect free kick. The half-time break provided only momentary respite for Bremen as Wolfsburg wasted little time in reasserting their authority on the contest after the restart. Wiedwald had to be at his very best to keep out Marcel Schäfer's daisy cutter and Dante's downward header, but the Werder custodian could do nothing to prevent Vieirinha slotting in Schäfer's glorious left-wing cross. Further goals from first-half substitute Josuha Guilavogui, Dutch striker Bas Dost and Kruse - all brilliantly worked team efforts - underlined the Wolves' dominance. Vieirinha does not score often - in fact, he has only found the net once in each of the last two Bundesliga campaigns - but that is not why he is in the starting line-up. His endless energy reserves, trickery and crossing ability are a nightmare to contend with for even the most accomplished left-backs. If last season’s runners-up Wolfsburg are going to overhaul Borussia Dortmund in second, their imposing home form will be key. Dieter Hecking’s men, who face BVB in two weeks’ time, have not lost in 29 Bundesliga matches at the Volkswagen Arena, dating back to 8 March 2014. 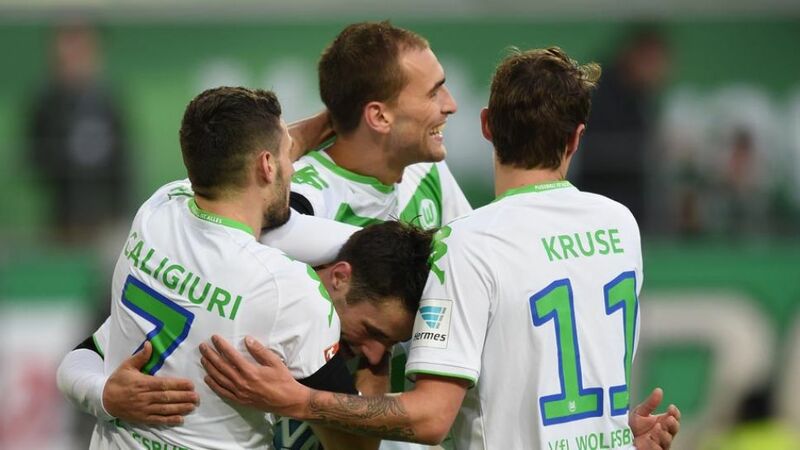 Wolfsburg have scored a league-high eight times from crosses this season.Four of the Wolves’ 23 Bundesliga goals in 2015/16 have come in the opening 15 minutes of matches.Bremen have scored more own goals than any other Bundesliga club (54).FC Bayern München were the last team to beat Wolfsburg in the Bundesliga at the Volkswagen Arena.